I still remember the first time I saw you play, and it is still very vivid in my mind. It was the final of the Wimbledon Championships in the year 2008, and you were taking on your great rival Rafael Nadal. On that day, Rafa got the better of you in the first two sets on your favorite surface- grass, and I was beginning to ponder what you could do from there. But then, in the next two sets, you bewitched me with the way you played that magical drop shot, that ethereal single-handed backhand. Ah, and you leveled the match. In the fifth set, I saw both of you play the best tennis that I have ever witnessed till today, but in the end, Nadal prevailed over you in that classic. Even though Rafa won on that day, you had captured my heart. And then, that 2009 Australian Open final, when Rafa beat you again, and you had tears on your eyes. You had even exclaimed “God! It's killing me!" I understood on that day how much you loved the game. Then, that epic final against Roddick in the 2009 Wimbledon Championships where both of you rallied on and on until finally, you won the fifth set 16-14, and your 6th Wimbledon crown. And then, came the final of the 2012 Wimbledon, when you beat the Andy Murray and won a record-equaling 7th Wimbledon title, and returned to the World No.1 spot. I could sense the ecstasy you were in. Nothing could make you happier than a good game of Tennis. And then, those four years between 2013 and 2016, when you didn’t win a single Grand Slam. It was a period when you showed that you too were mortal. It was also the period when Novak Djokovic was playing his best tennis ever. It might have been extremely frustrating for you, but you never gave up. It was at this time that I had started to doubt your prowess and wondered whether you had another Grand Slam title left in you. And then, the 2017 Australian Open final. You were 35 by then, and you and Rafa were playing each other in a Grand Slam final after six years. And the way you played on that day, Oh my God! Especially the way you rallied back after being 1-3 down in the fifth set, and that too, against Rafa, and won your 18th Grand Slam title was out of the world. I could see tears streaming down your cheeks, I could see the joy on your face when you punched the air in unbridled joy. And then, of course, that demolition of Cilic in the 2017 Wimbledon final, and again, when you beat him the 2018 Australian Open final to take your Grand Slam tally to 20. But then, the last three Grand Slams have shown that age is finally catching up with you. I would like to digress a bit here Roger, and talk about another man who likes you had captivated me for over a decade-Sachin Tendulkar. It was the 16th of November 2013, the last day in Tendulkar’ career. And, as Tendulkar poured his heart out to the Indian public for the last time, tears were streaming down my cheeks. I was weeping profusely. With the retirement of Tendulkar, my personal connection with cricket had been irreparably damaged. Yes. The men who succeeded Tendulkar have taken Indian cricket to great heights, but nobody could captivate me and give me the same joy that Tendulkar gave. And, at this stage of your career Roger, I very well know that and you can’t carry on forever. And, as an ardent fan of yours, all I would like to say is this - I don’t care if you win another Grand Slam title or not, I don’t care if you return to the World No.1 spot again or not, but I would like to tell you just one thing. "Just go out there, and have fun mate. 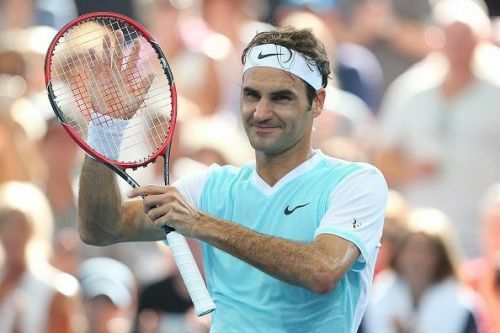 Because when you have fun, we have fun too.."
Australian Open 2019: Can Roger Federer get a hat-trick of wins?